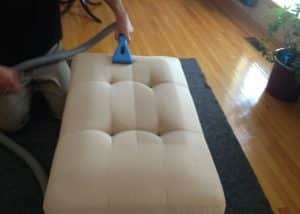 Does your Upholstery need cleaning in University Park, Texas? Upholstery professionally cleaned. As you stop an look back at all of the holiday fun you had with the kids and in-laws. Reminiscing on the good conversations, watching the little ones open presents, and all of that delicious food. In the midst of all of this amazing food and those yummy deserts that the kids especially love. It is a fact that kids love almost all deserts, but those little rascals can be a little clumsy at times, spilling drinks and dropping food. They tend to have these accidental food and drink spills on the table, carpet, and upholstery when unexpected. You love your kids, but they can cause a natural disaster on the furniture and the floors. So over the holidays did your kids or in-laws drop food or deserts on your upholstery? If so and you live in University park, you may need to have your upholstery professionally cleaned. Having your Upholstery Professionally Cleaned.. When food is spilled on your upholstery, you should remove it right away. Blot up as much as you can. Try not to rub it in. This will only make it worse. Some food that is spilled leaves you with a limited opportunity to remove it or it could possible be permanent. Food with dairy products could spoil and grow bacteria if not removed all the way. By calling out a professional to clean and remove the food and drink spills immediately after it happens can possibly have your upholstery looking as good or better than it did before the accident. A professional cleaning of your upholstery can eliminate any dust, dirt, dust mites, and those accidental food and drink spills. When calling a professional. Be sure to call Ultra Clean Floor Care for your University Park upholstery cleaning. Not only are they IICRC Certified, but Show up on-time, deliver excellent results, very punctual, clean cut, and before they start cleaning they even protect your floors and corners with mats and corner guards taking cleaning to a whole new level. Call Ultra Clean Floor Care for your upholstery cleaning needs and remember to keep those ooey gooey deserts away from the furniture. 469-580-8123. Remember it’s only clean, if it’s Ultra Clean.